Congratulations. What fatastic news! I love the onsie! Congratulations! How exciting to find out, must be lots of fun to be planning for a boy now. Congratulations. Boys are an unknown to me but I'm sure it'll be a fantastic journey. 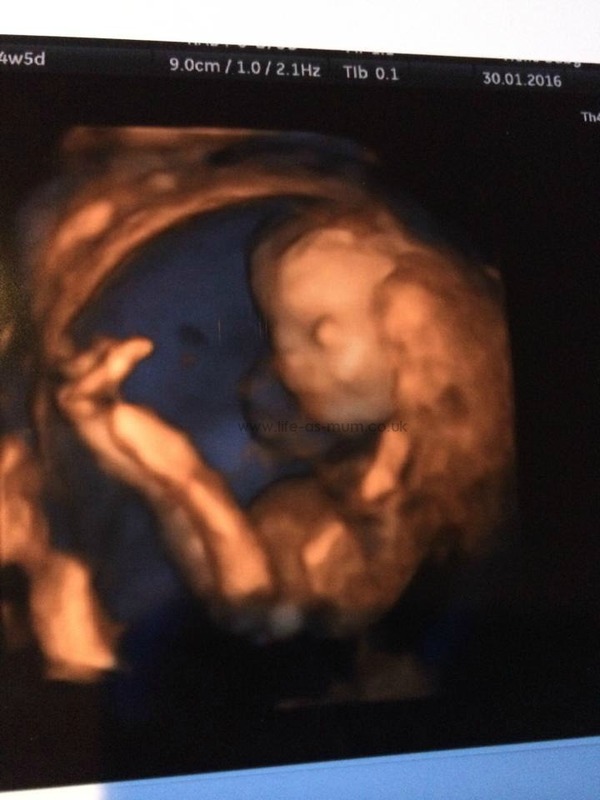 I cried all the way through my sisters 4d scan, they are really amazing! Congratulations. That's so exciting! Now you know you can plan things throuroughly... you know like his going home outfit! Congratulations. I find the 4d scans fascinating, I love how far we have come with technology. Ahh Congratulations, what amazing news! Those pictures are amazing too! Woah, I didn't know these kind of scans were a thing - congrats! Hi Beth, congratulations! A little baby boy for your girls to dote over. When I was expecting our first, we didn't want to know it's gender. 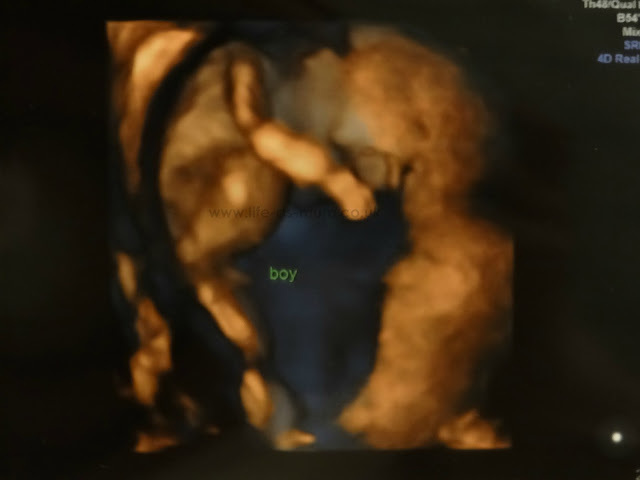 We told the Doctor our wishes, but unfortunately he accidentally let it slip that it was a boy as he was explaining a scan to us. We didn't have 3D back then. Your scan images are amazing. oh congratulatiions that is lovelynews. Now the shopping fun can start! Big congratulations to you and your family. What lovely scan pictures. Congratulations! Ahhh congratulations!! I love my boy, cheeky but they love their Mummy cuddles! amazing and so exciting! This will be awesome and im so happy for you! Now you can start getting boy things ready Yeah! Oh, big congratulations! A son! I am so happy for you. 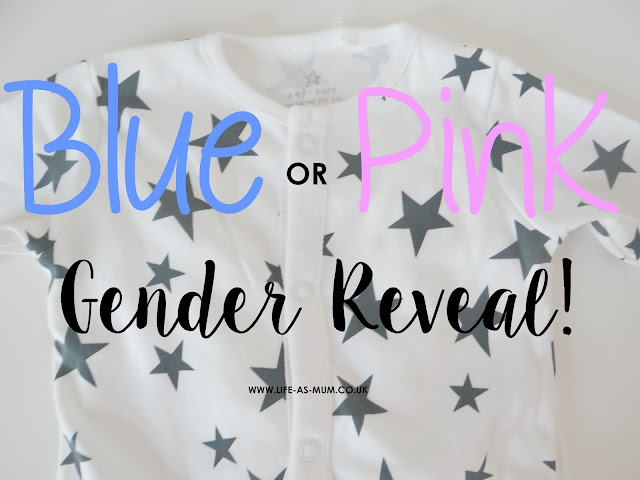 Have you thought about names yet? Congratulations, brilliant news! 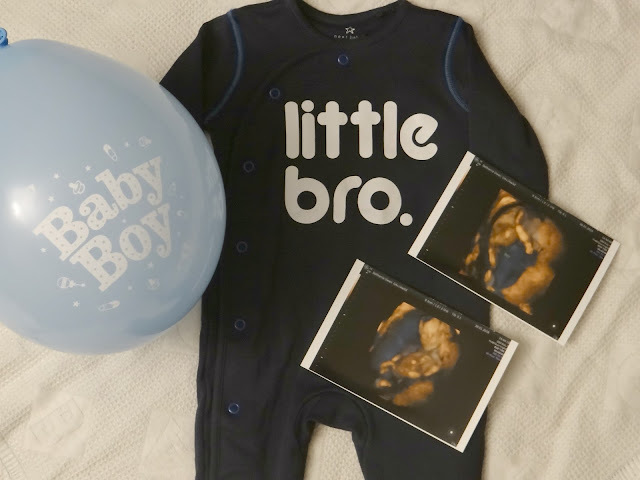 That babygro is so cute! Wow congrats. Wishing you guys the very best. Congratulations. It's so cool having boys. What clear photos they are as well. Fabulous! Have you told the girls yet? Are they excited about having a baby brother? Awwww fabulous! Congratulations! 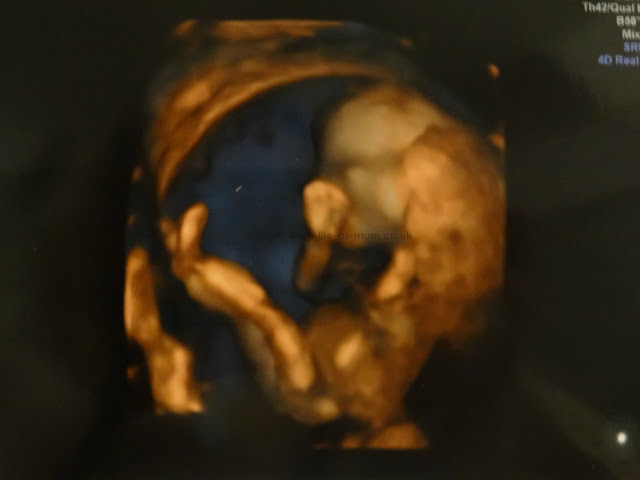 Those 3D scans are so very clever, can't wait to hear more as the pregnancy progresses. Congratulations. What amazing images. Any parent must be thrilled to see such clear pictures of their precious baby so early in life. wow!! Congratulations!!! those 3D scan photos are amazing!! Congratulations. That's great news. I've never had a 3D scan, the pictures looks great. This is fantastic news! Congratulations! a 3d scan sounds amazing, I didn't even realise that they did that! Oh my goodness, what a wonderful blessing! I am in awe over the clarity of your baby images too. What a little peanut! Aww how exciting!! 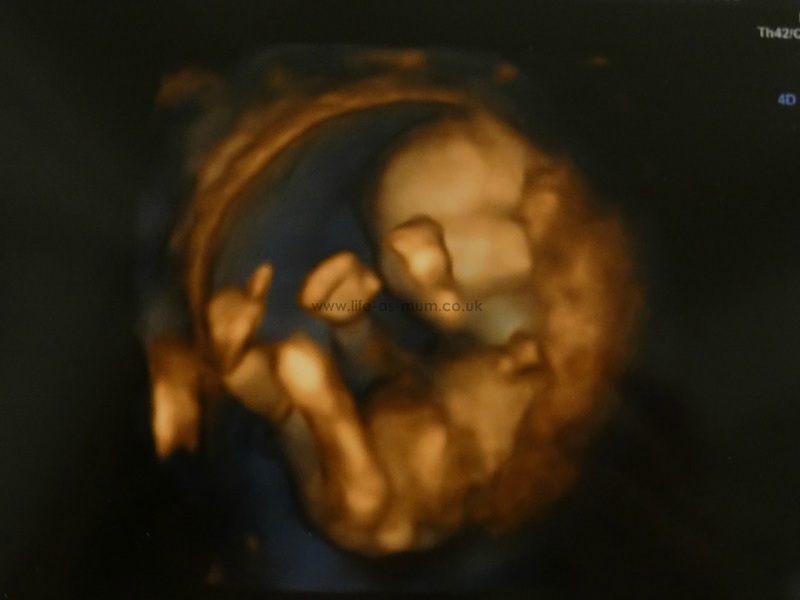 Fab scan pictures, I had a 3D scan with LJ and was amazed by the detail.